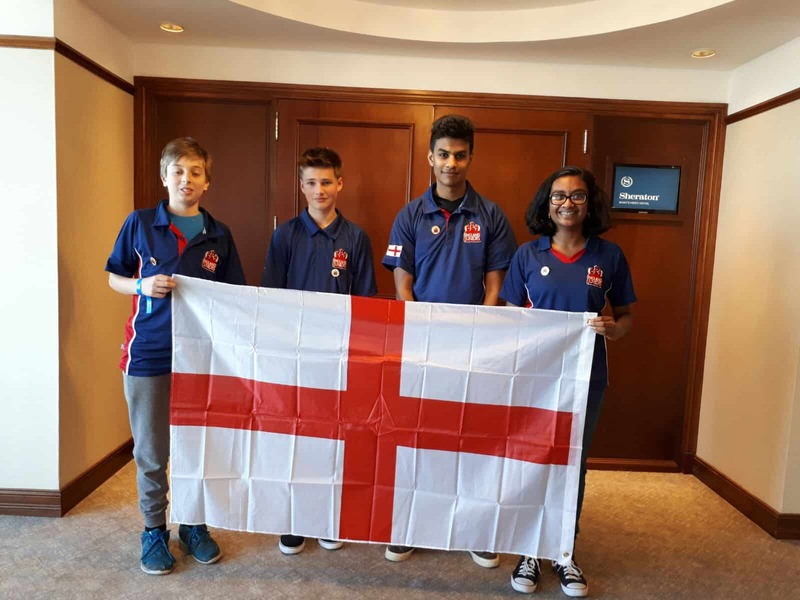 England finished the World Youth Chess Championships with 22.5 points. 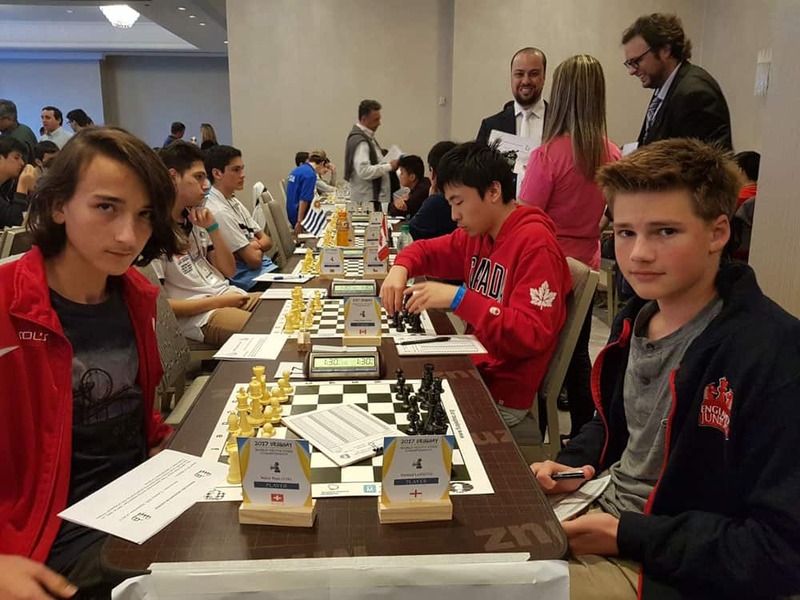 Sacha is now ranked 10th in the World in the U14s! Well done to the team and for the great support amongst the team members through the highs and the lows! 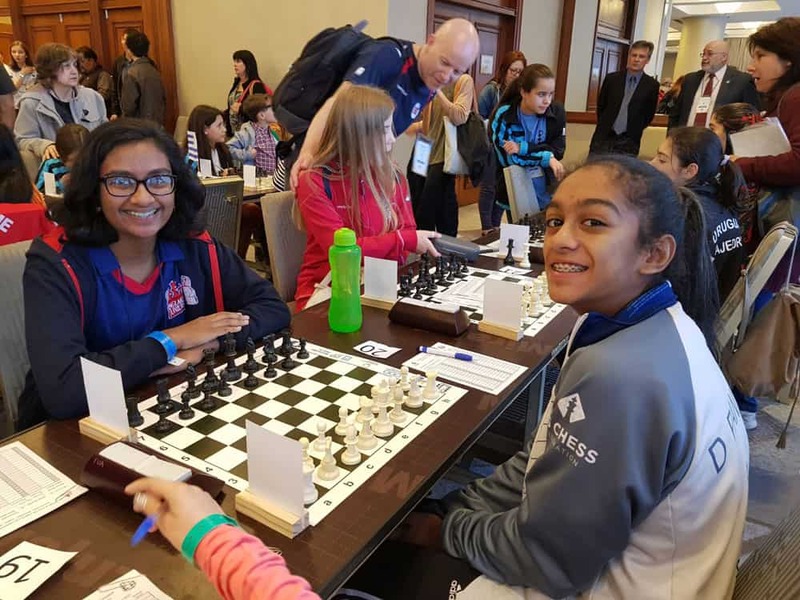 Thivya clinched one final point for England in Round 11. 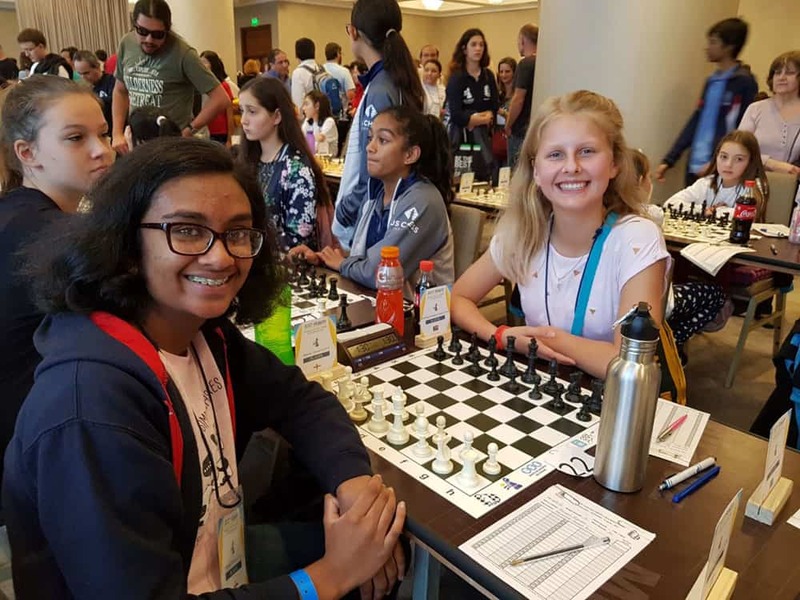 Qi of the United States decided to repeat a variation that Thivyaa had faced a couple of times earlier game in the tournament. 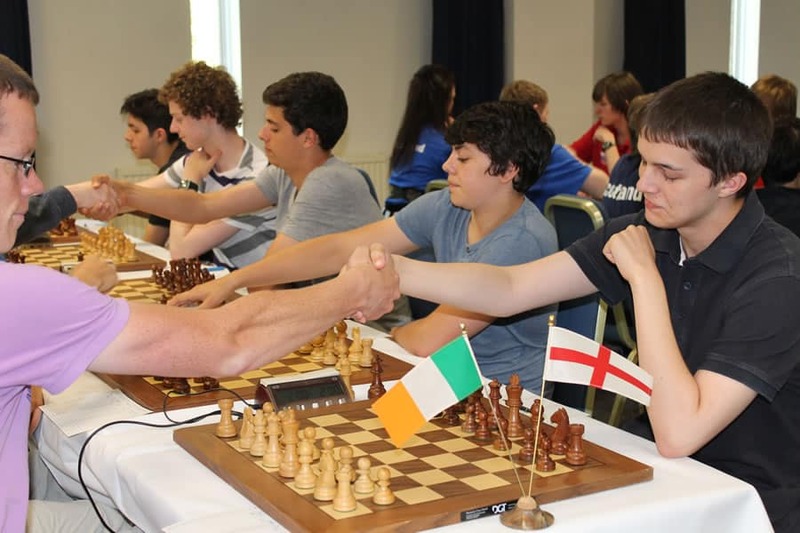 The England player proved better prepared and demonstrated a good grasp of chess strategy to clinch the point. In the penultimate round, England scored 1.5. 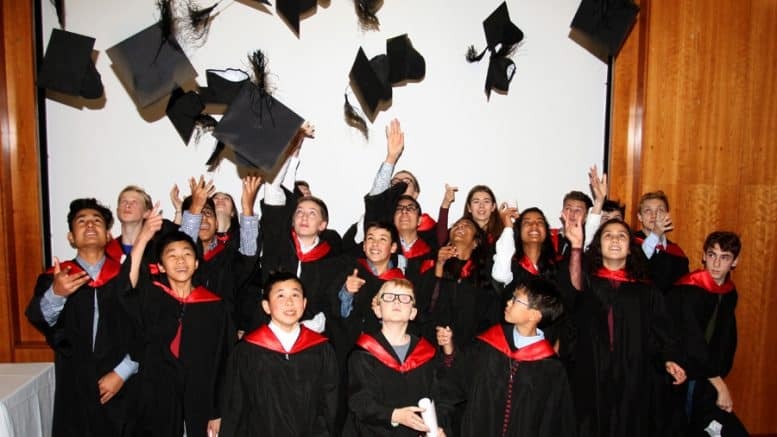 A number of tough battles were fought…. 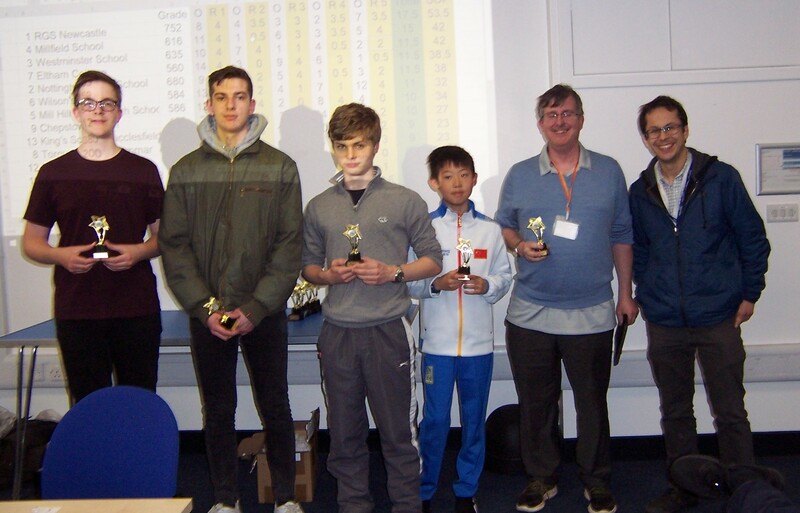 Sacha spurned an early draw offer by the top seed in order to make a bid to win the tournament. He soon had Teclaf on the ropes and could have capped his fine play by grabbing a centre pawn. Alas, he missed his chance and in time pressure succumbed to his Polish opponent’s counterattack. 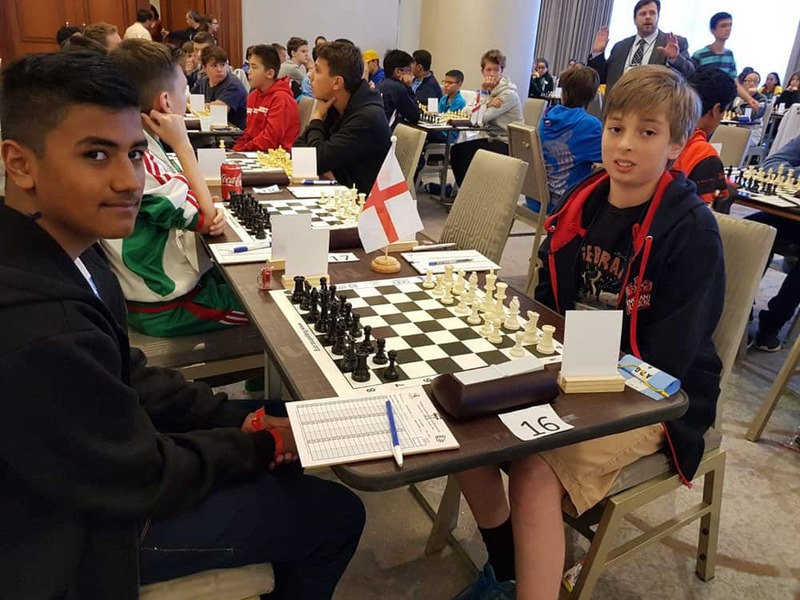 Meanwhile Ravi played his best game of the tournament so far against the Georgian representative. 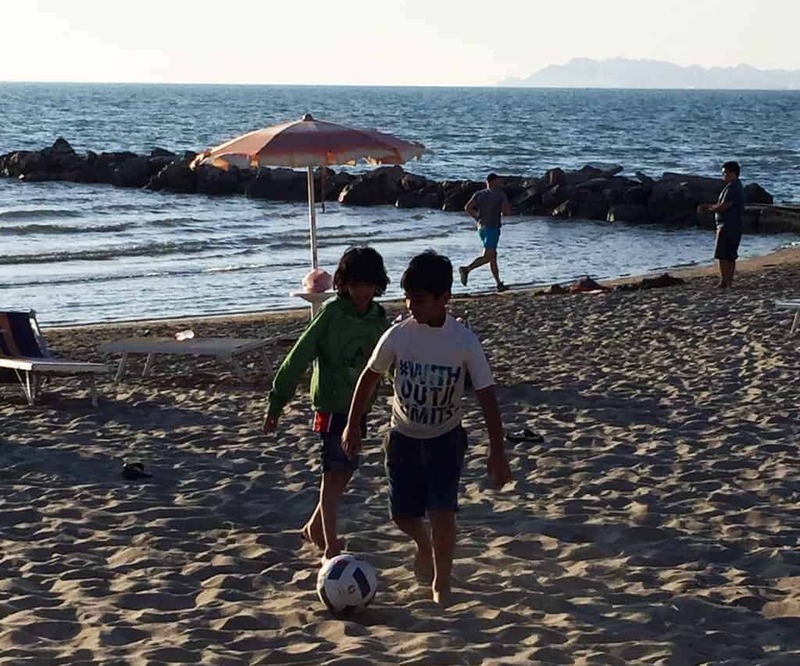 In a textbook example of how to exploit a space advantage, Kokaia was gradually suffocated without being given the ghost of counterplay. 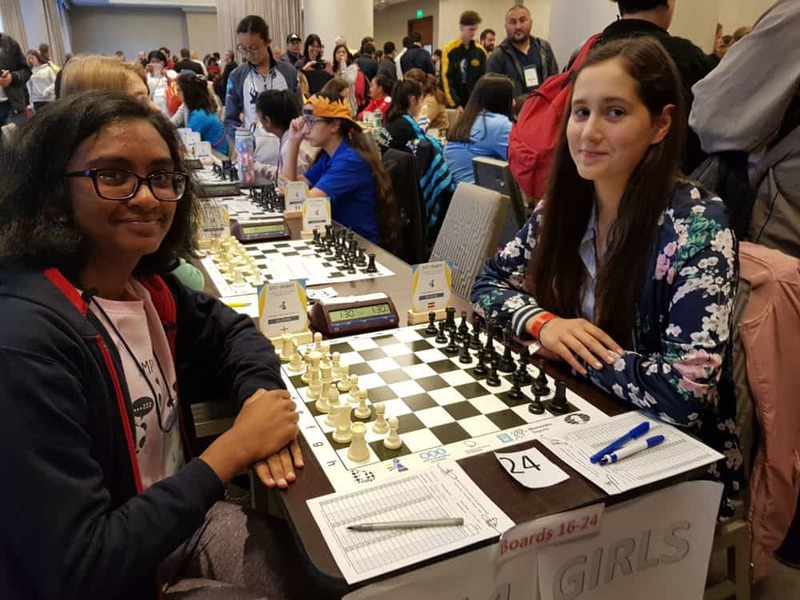 Thivyaa played aggressively from the start of her game as Black versus Ramona Golsta, whose sister Madara she had beaten earlier in the event. 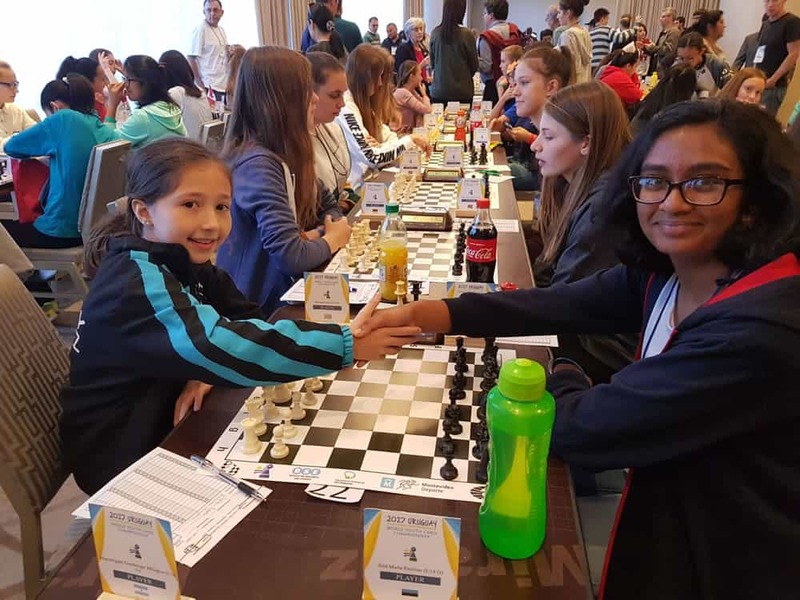 This time however her opponent was able to liquidate into an endgame where she held the draw. 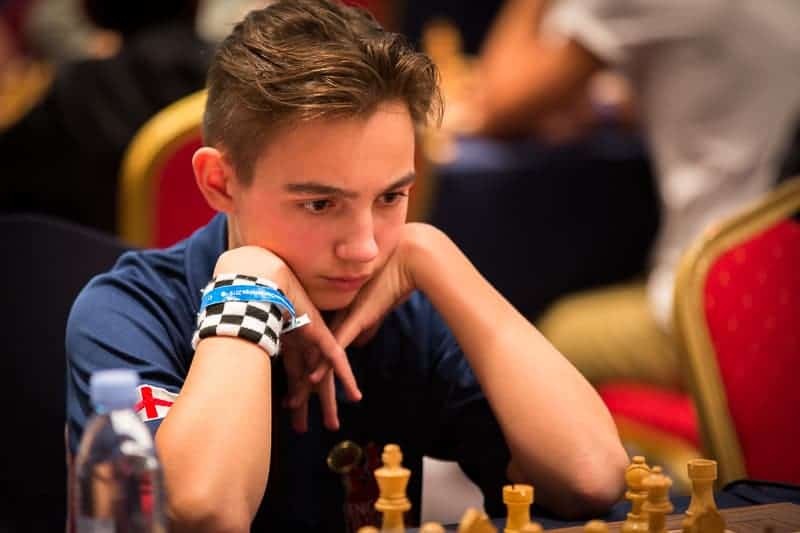 An impressive performance from Sacha on live board 4! England 2 points. 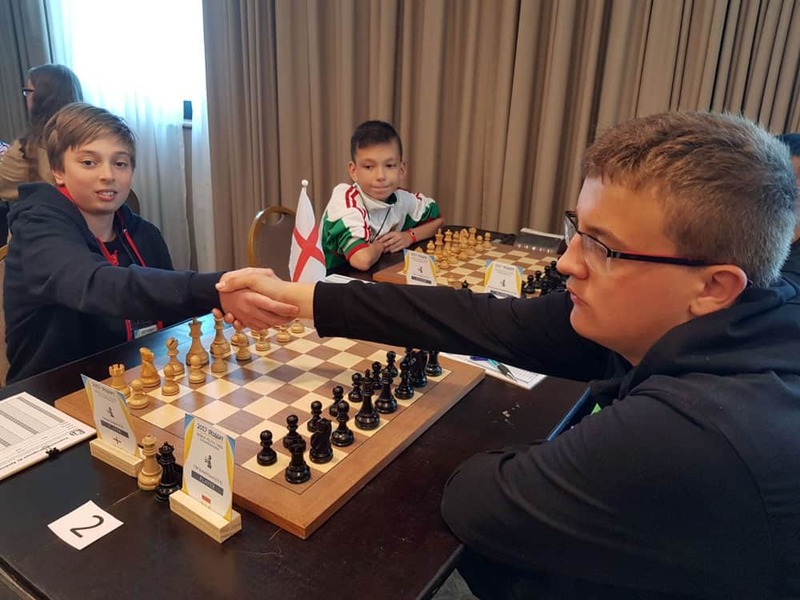 Sacha’s German opponent Kopylov was soon struggling after he made an unsound pawn offer. He was efficiently despatched by a queen sacrifice in only 21 moves. 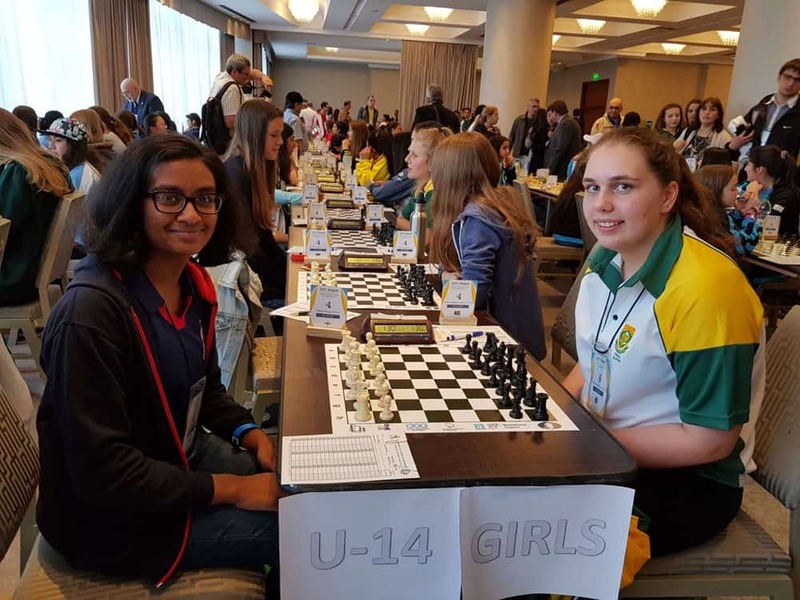 Thivyaa also won a pawn for not too much in the opening against Radikovic of Croatia. 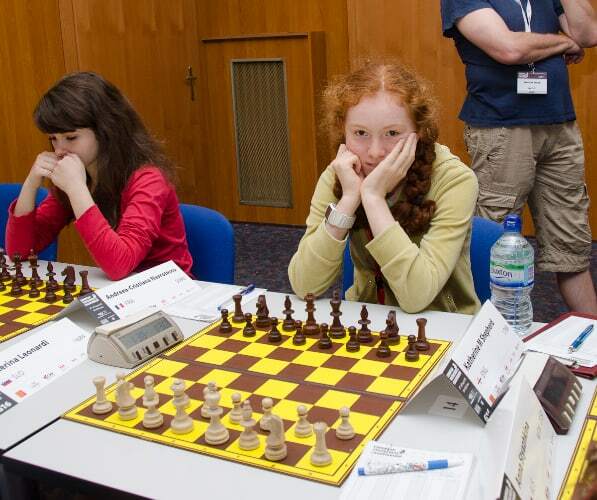 Her advantage dissipated in a complex middlegame and a draw was eventually agreed. Having seized a lot of space Leif attempted to batter through the defences of Chang (Surinam), but there was no obvious continuation. A postmortem involving the whole of the England team concluded that a draw was a fair result. 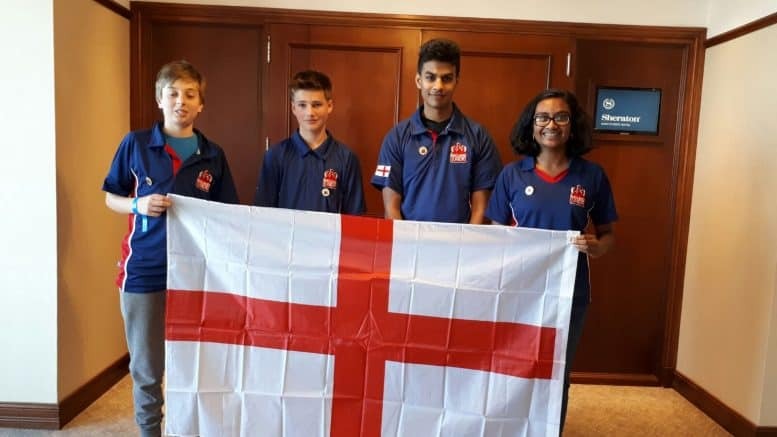 A fantastic performance for team England in Round 8, a perfect score! (4/4)! Sacha had a complex game on a live board. First of all he outwitted his US opponent in a theoretical struggle, which prompted Turgut to sacrifice a knight to muddy the waters. This met with a deeply calculated refutation. Thivyaa played some tough positional chess as Black to neutralise Podesta’s opening advantage. 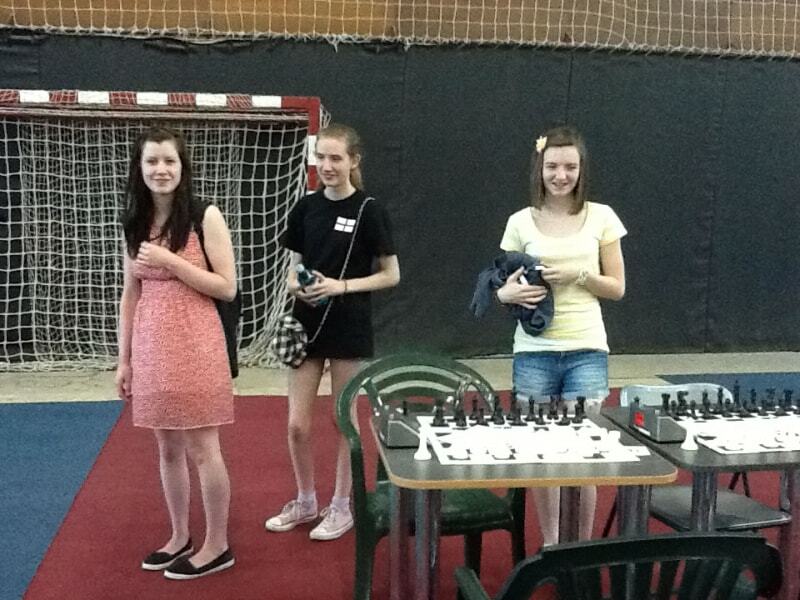 She then wore down the Uruguayan opponent’s resistance in a well-played middlegame. 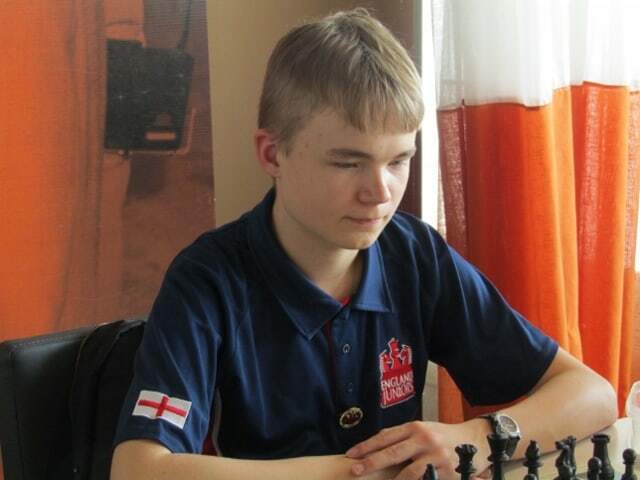 In another England versus Uruguay matchup Leif seized the initiative as Black. He began a big attack on Oviedo’s king which had recklessly castled queenside. White’s piece sacrifice to gain counterplay proved inadequate in the face of Leif’s precise defence. Ravi playing White built up a strong attack right from the opening against Kutsanyan. 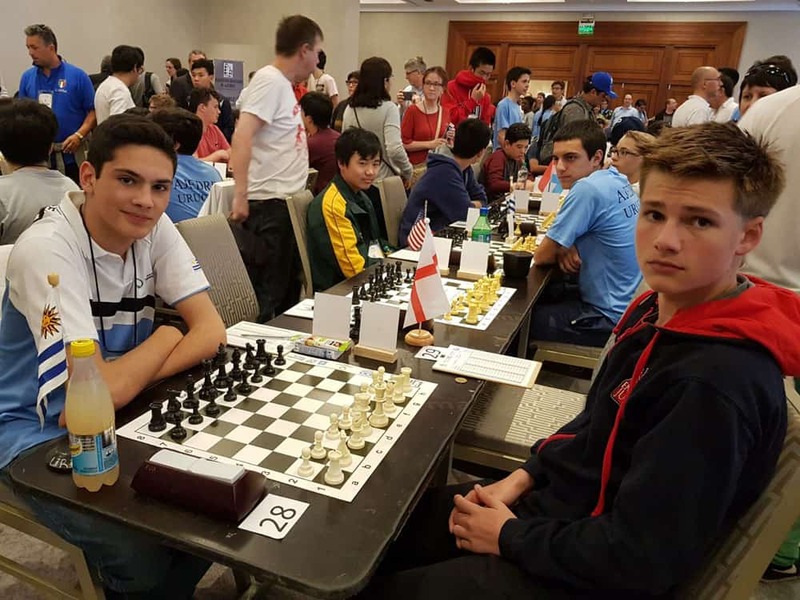 His Croatian opponent wilted under the pressure and suffered a quick defeat. 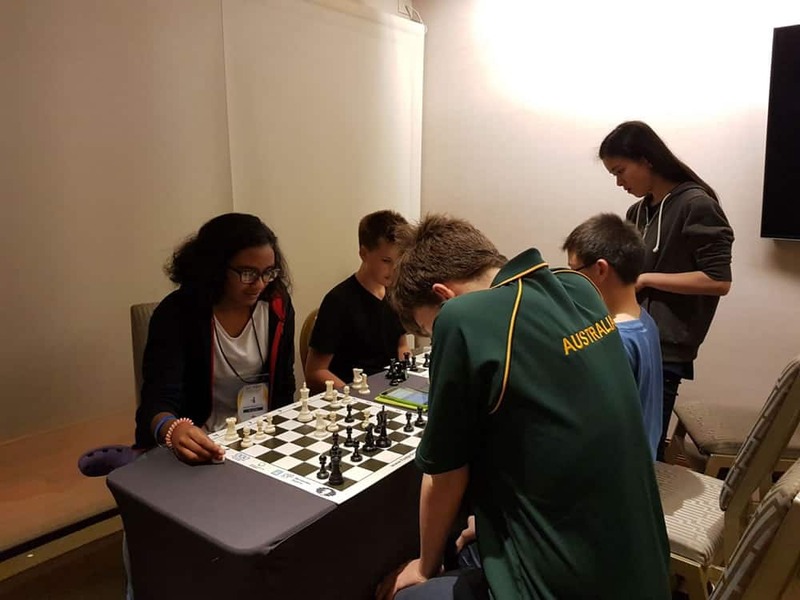 We finished the day with a social with the Australian team in our team room which yielded a lot of laughter and relaxation after a tense but exciting day. 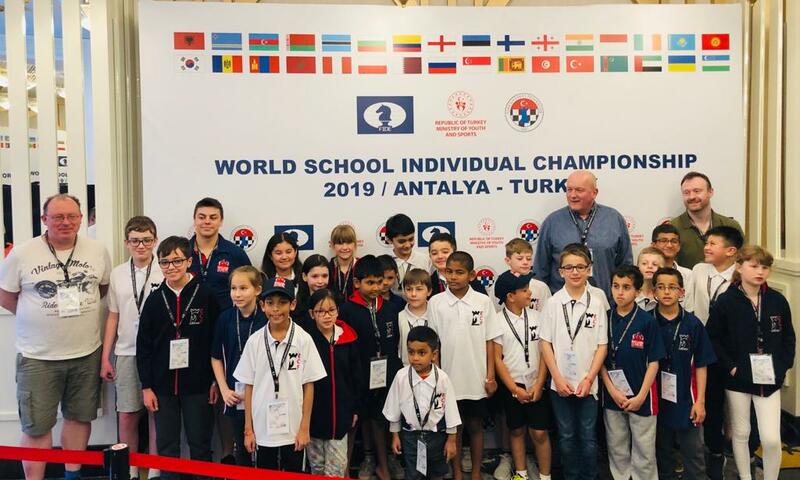 The England team was well rested to take on the double round day. England scored 5 points. 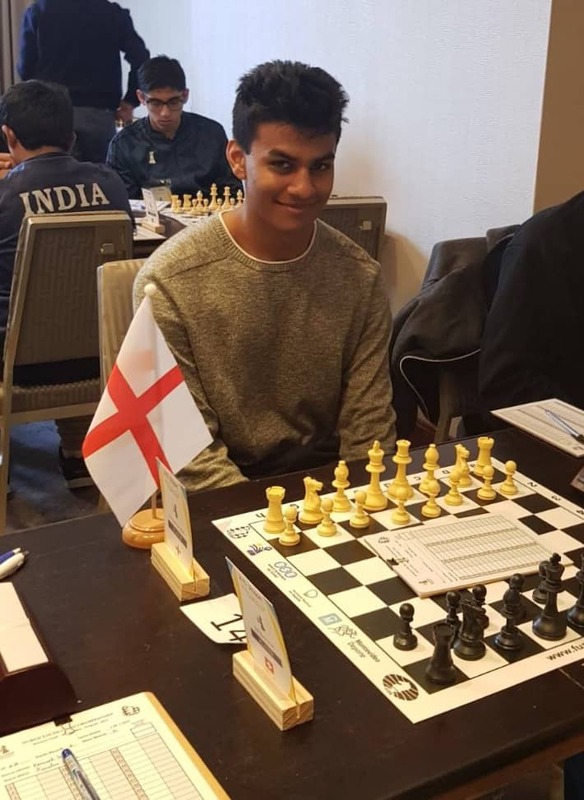 Ravi was involved in a double edged battle in round six, but he pulled through thanks to his fighting spirit and registered an important win against his Swiss opponent Dill . 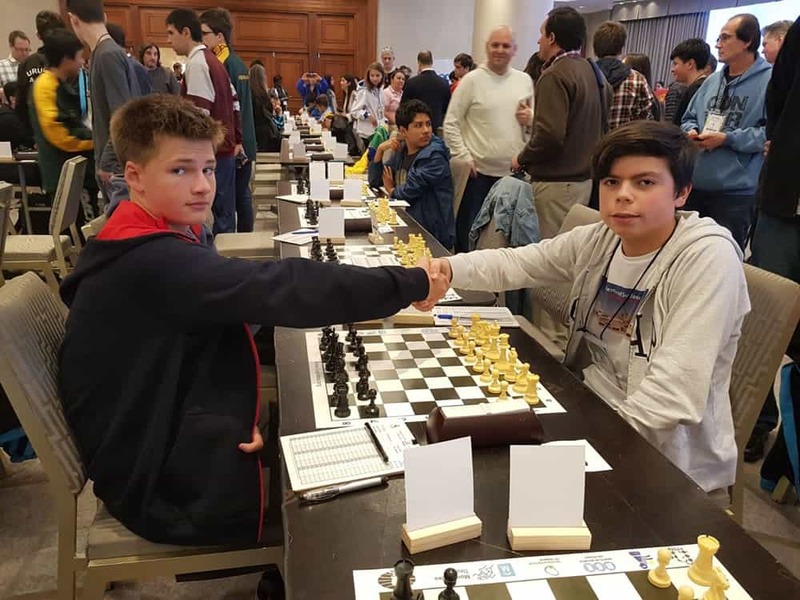 In the same round Leif surprised Araoz with some enterprising play in the opening. The Peruvian was provoked into some over aggressive play which was convincingly refuted. 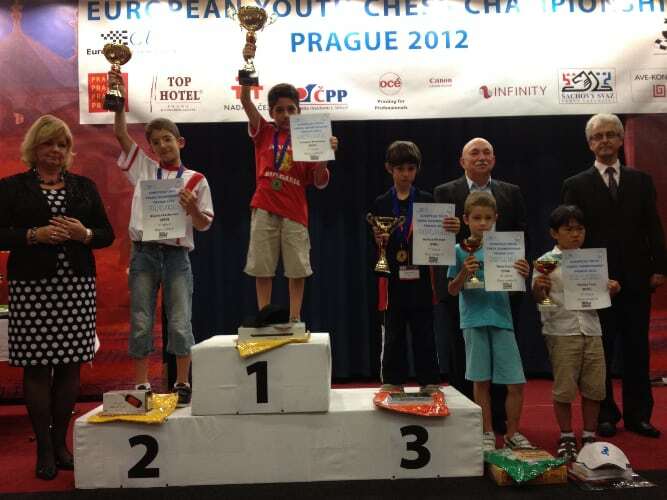 Sacha had a good day, beating both Tarlabasi (Turkey) and Morozli (Latvia). The latter opponent was outplayed in fine strategic style. 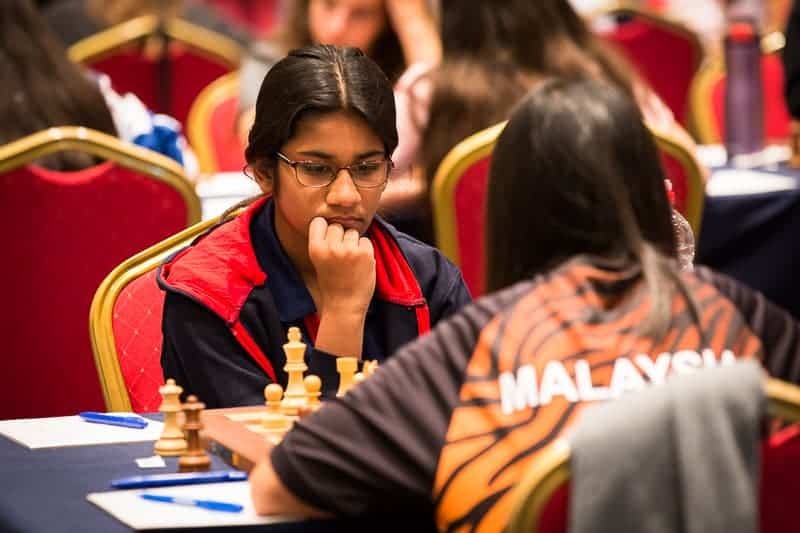 After some near-wins in earlier games, Thivyaa was finally rewarded in round seven for her strong positional play versus the Latvian Golsta, who never recovered from a premature foray with her knight. 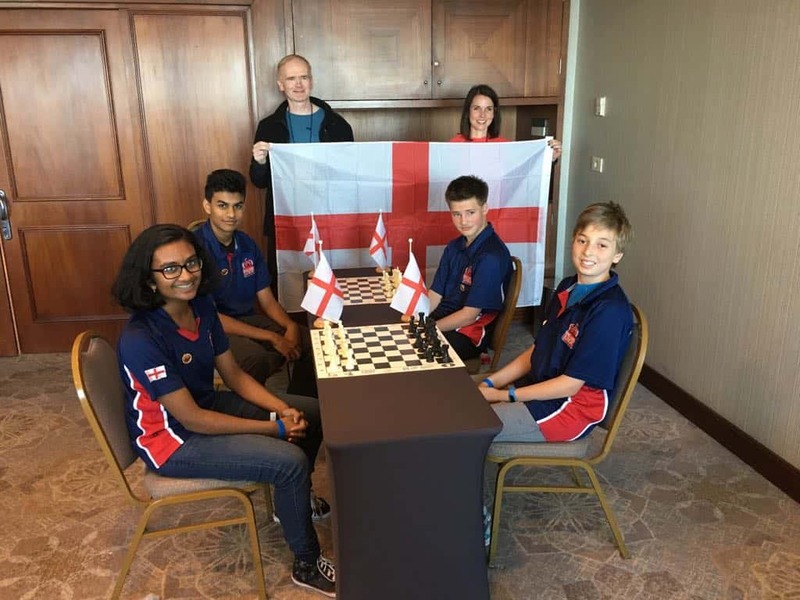 Round five resulted in one point for England. Some difficult battles were fought. 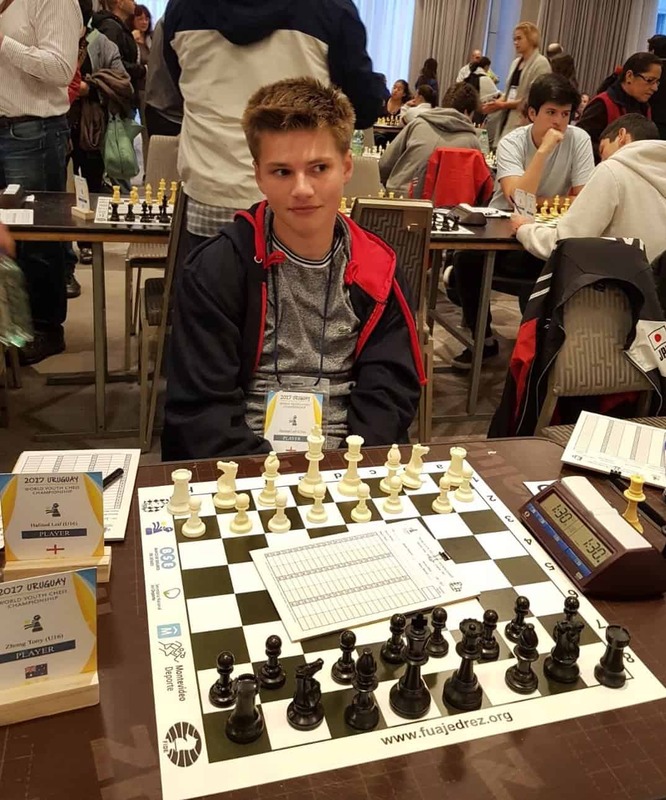 Sacha on a live board showed resilience and was close to achieving a draw with a much higher rated player. Ravi had a hard fought game against his Indian opponent. He gained the initiative as Black and pressed for the win, but Kaustuv held on and even had the advantage before Ravi found a clever way to force perpetual check. 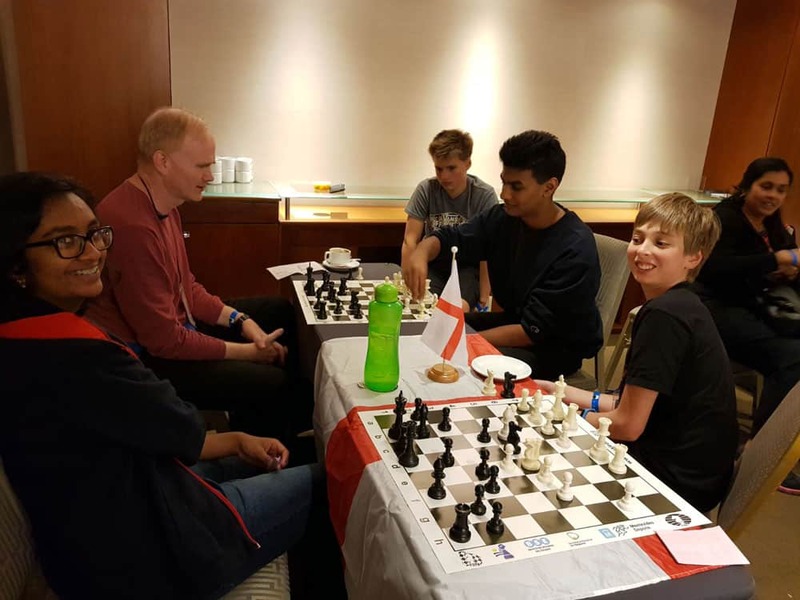 This exciting struggle was the subject of a long post-mortem with Ravi, Neil and the Norwegian coach, Nicolai Getz. 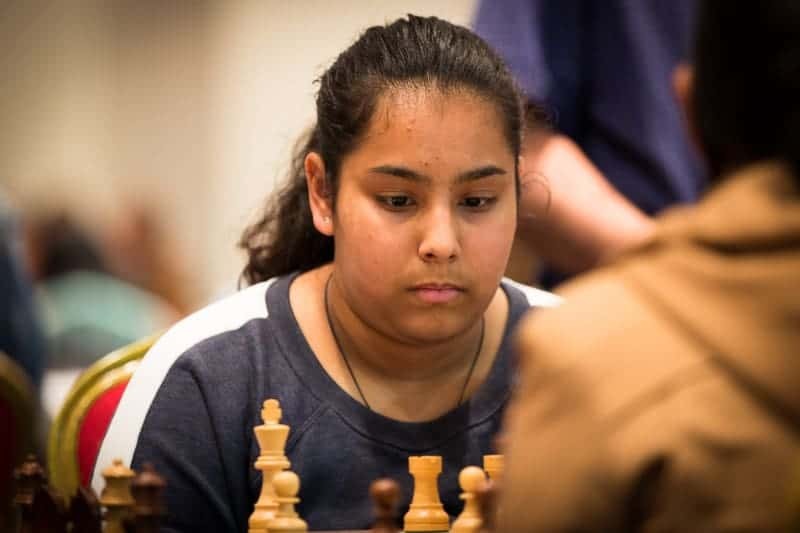 Meanwhile Thivyaa built up her game expertly and looked to have a big attack against the South African WFM Staal. 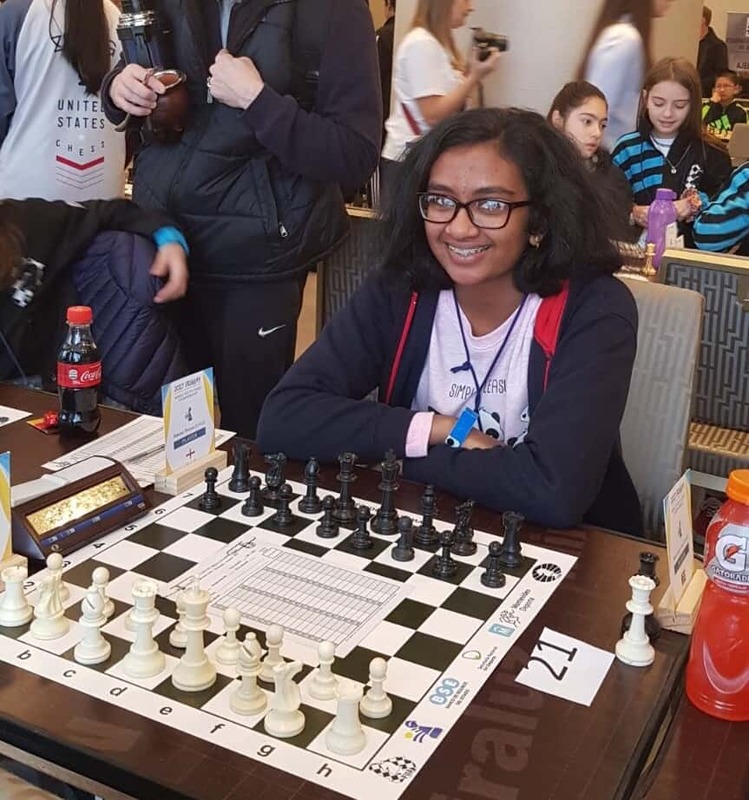 Somehow her opponent survived and offered a draw when she reached a favourable endgame, which Thivyaa was sensible to accept. Our pizza social with the Norwegian and Irish teams in the England team room proved successful. 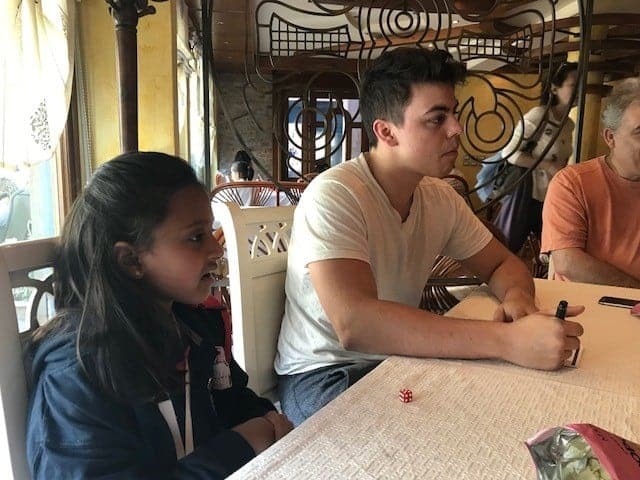 Exchange chess and “mafia” card games were played and were a great distraction. During the rest day , some members of the team went to visit a local winery, others went on the local bus tour. Heavy rains during the rest day made outdoor activities less attractive. The team is in good spirits and well rested to start the second half of the tournament with a double round. 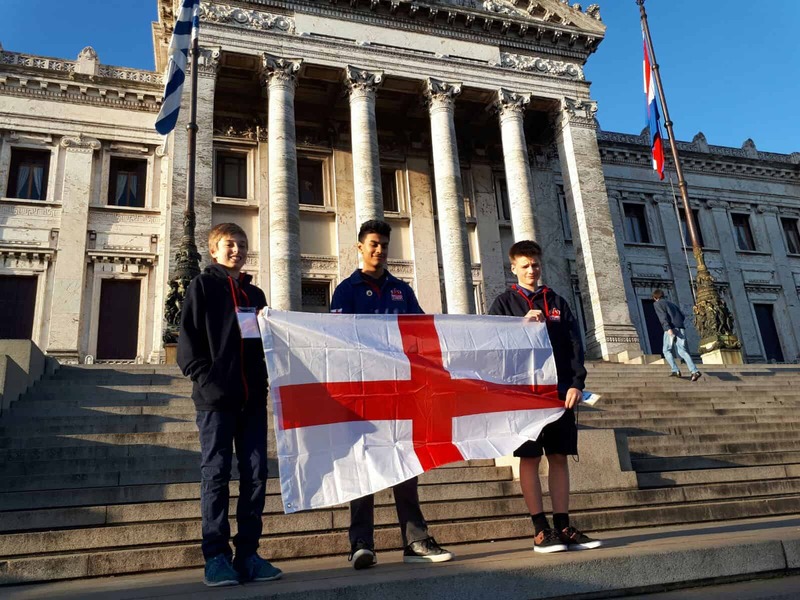 There were some hard struggles against the South American representatives. 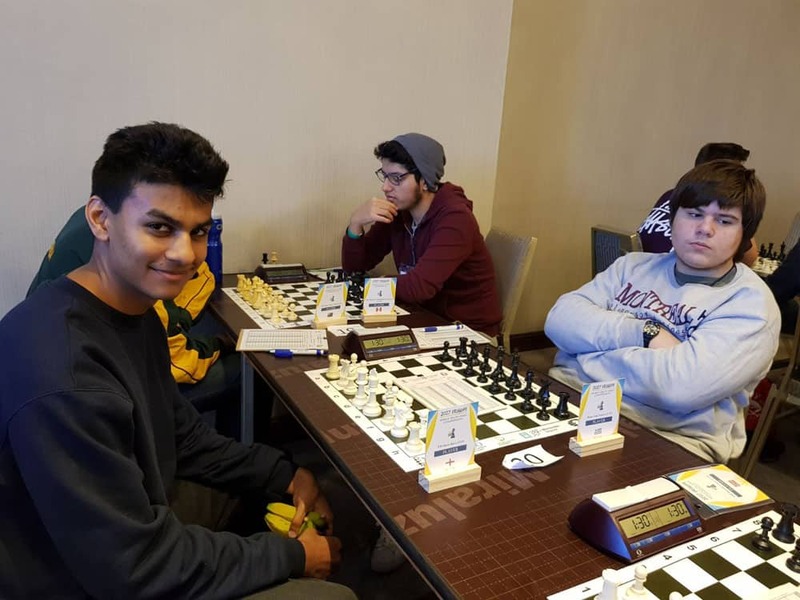 Ravi’s tournament came to life when he gradually outplayed Dotta Gian Franco of Uruguay, clinching the game in a rook and pawn endgame. 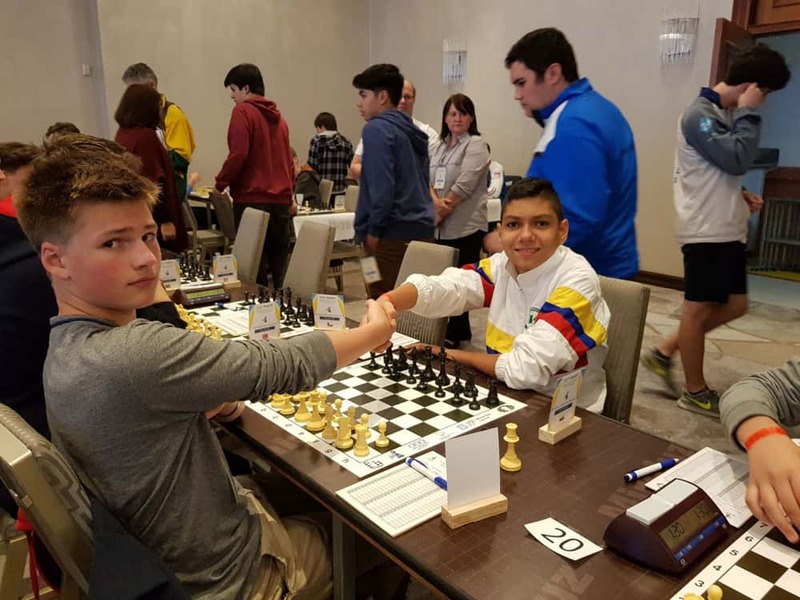 Meanwhile Sacha exploited an inaccuracy in the opening to achieve a total bind on the position against the Argentine, Ricardo Garcia. 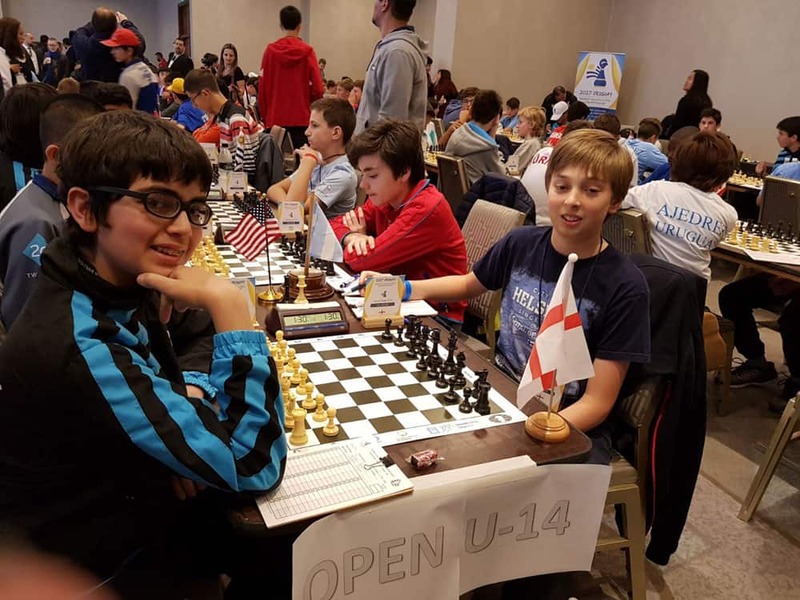 His opponent’s desperate bid for freedom was easily crushed, leaving Sacha with two pieces against a rook and an easily won endgame. 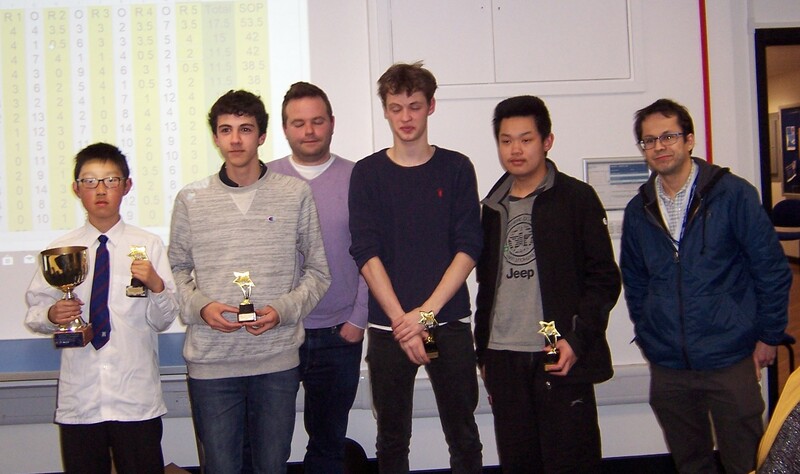 However, all in all, a good result on Round 4 for Team England … 2.5 points. It was a challenging second day at the WYCC17 with a double round. We are still fighting a bit of jetlag, making the 3rd round at 5pm local time a real challenge for all of our England players. England scored 3 points. 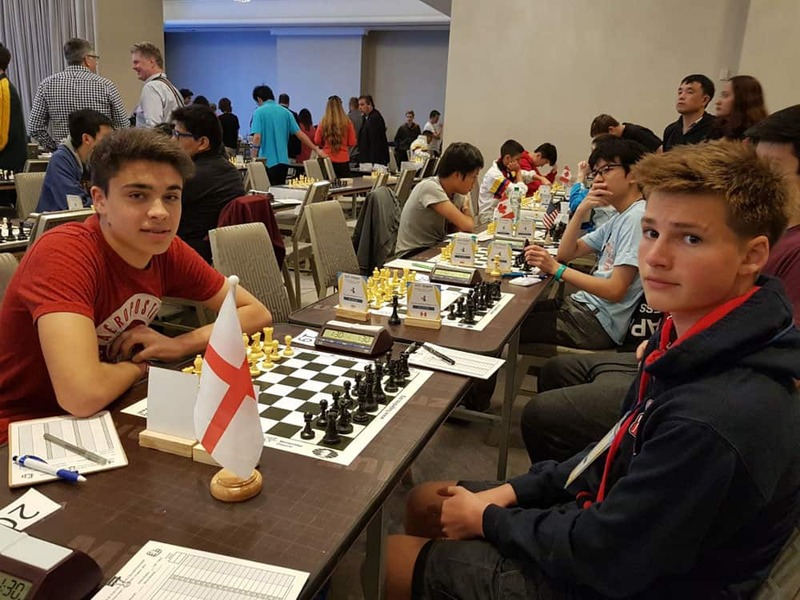 Sacha won in good form in the second round after his first round, where his fierce attack concluded with a neat combination to win the queen for a rook and bishop. This so demoralised his opponent that he resigned after 17 moves rather than fight on in a bad position. In Round 2, Sacha’s positional pressure culminated in a neat mating finale. 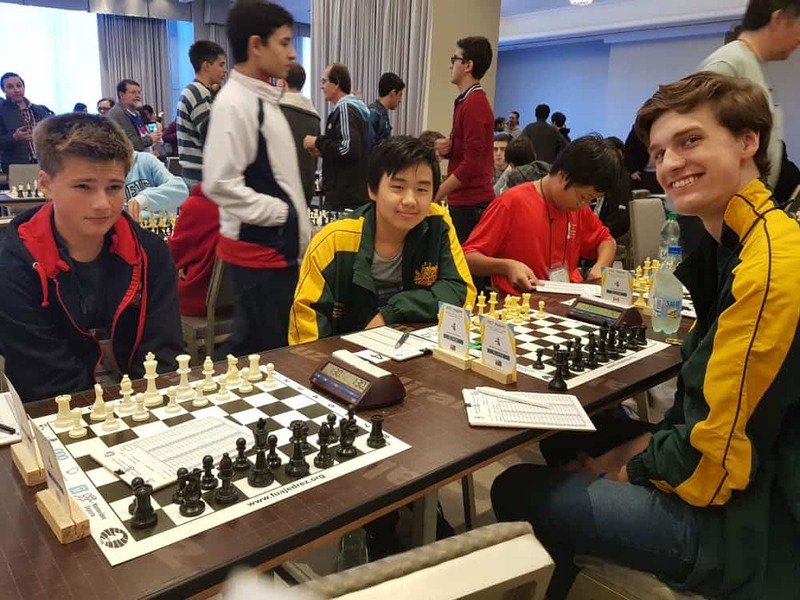 Leif also managed to win in a topsy-turvy battle in round two, and followed this up in round three with a fighting draw against a much higher rated player. The England player spent some time after the game discussing with his opponent and the Argentina coach whether he could have won the game. 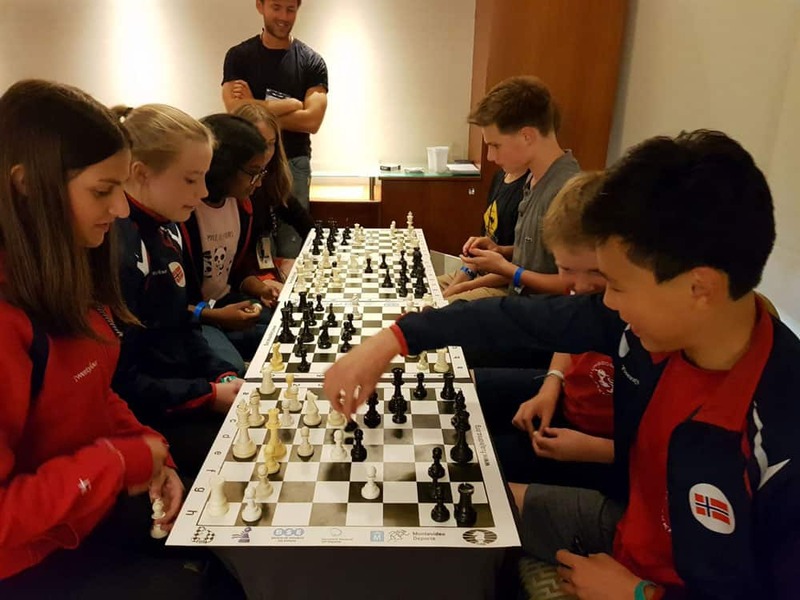 The World Youth Chess Championship starts on 17th September and runs to 26th September. 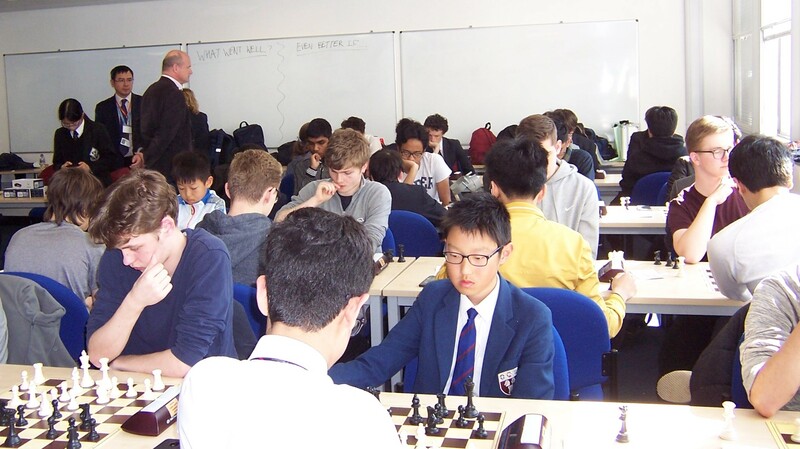 The event is an 11-round FIDE-rated event, and is for boys and girls in the U14s, U16s and U18s. 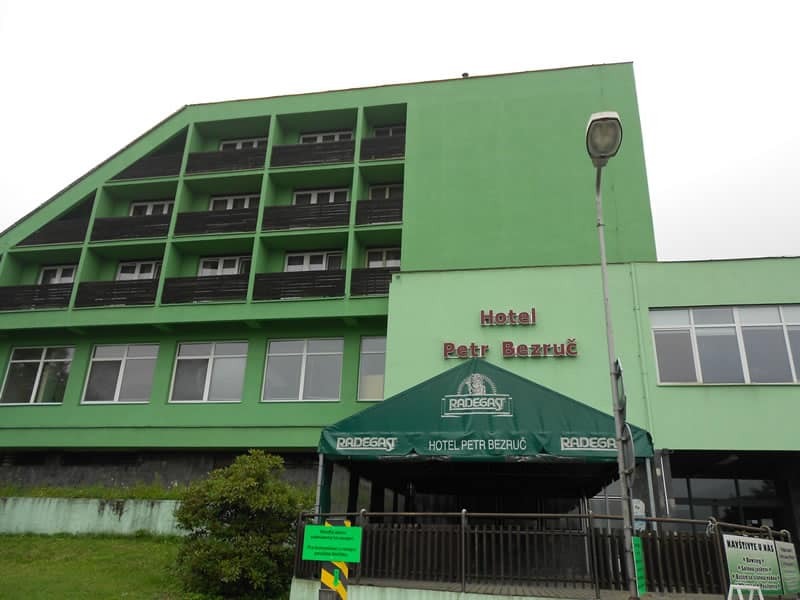 The venue is Montevideo, Uruguay.